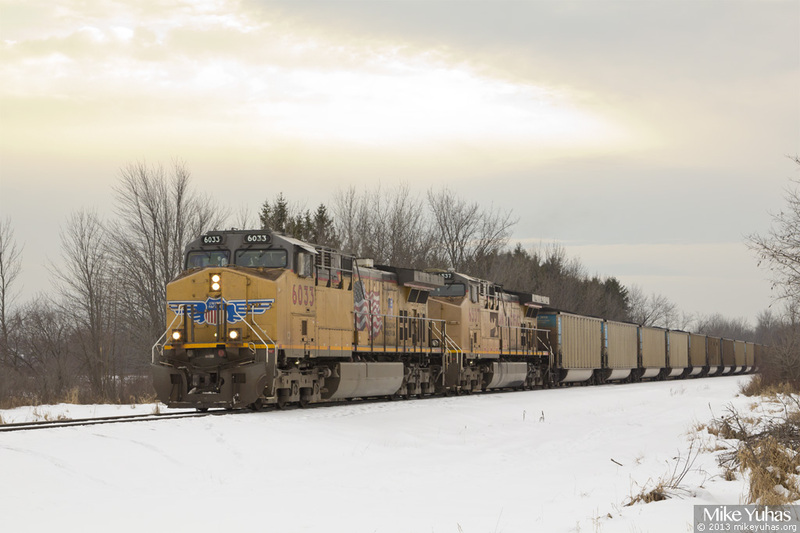 A loaded coal train arrives Sheboygan. Due to limited maneuvering room inside the Edgewater Generating Station, only half of a loaded coal train can be pulled into the plant at a time. The crew will cut this train in two, bring the first half of the train to Edgewater, spot the cars on the various tracks within the plant, then return for the back half.